To reduce risk, many small creative firms engage in work-for-hire (WFH) projects to generate revenue. These are projects in which a firm is paid to develop a product (such as a digital game or app) based on IP belonging to someone else. An example of a WFH project would be the game ‘Kinect Disneyland Adventures’, produced by Cambridge UK-based Frontier Developments, using IP owned by Disney. This type of production, while subject to creative constraints, can help firms sustain revenue. One drawback is that clients usually retain intellectual property rights in the underlying work, meaning that once the contract is completed, the creative firm cannot commercialise the property further without a license from its owner (read more about licensing here). Some firms ‘make the leap’ from WFH to developing original content over time, as they gain the experience and skills necessary to produce their own successful hits. 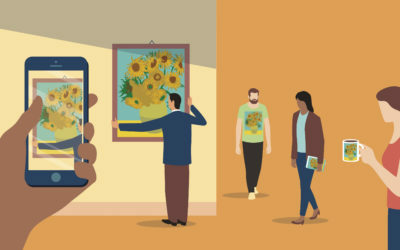 Some firms explore hybrid business models which make use of different approaches, developing projects based on third-party copyright alongside their own original projects. Some firms have commercialised work and ideas residing in the public domain.4 The video at the top of this page contains stories from managers who have found ways to sustain their businesses using a mix of different IP exploitation strategies. Even when a firm manages to create an original product in which it owns the intellectual property rights, the path to commercial success is rarely guaranteed. There are a number of factors influencing firms’ ability to capture the value from a new innovation. These are collectively referred to as the ‘appropriability regime’, i.e. the conditions outside the firm which make it easier or harder to profit from an idea.5 Such conditions may include the level of formal intellectual property protection available (strong or weak), the structure of the industry (many or few firms) and the nature of the innovation itself (easy or hard to copy). Successful firms tailor their business strategy to fit the appropriability regime. One of the first choices a firm must make is whether to package an innovation within a product it sells (product-based strategy) or license the use of the innovation to someone else (licensing strategy). In cases where the formal intellectual property protection is strong, licensing strategies are viable because the innovating firm can recoup its creative investment from licensees, while blocking unauthorised use. Product-based strategies may work better when the innovation is difficult to protect using formal intellectual property rights, or where the firm has advantages such as direct access to distribution channels. At first glance, small creative firms face a number of disadvantages. Small size means that they do not typically control distribution channels, making them reliant on other firms to sell their products. This can reduce profits or limit access to consumers. Copyright law offers strong protection in the UK, but it costs money to enforce rights and track down infringements. The Enterprise Court small claims track is an attempt to help resource-constrained small firms enforce their intellectual property rights.6 Finally, creative goods are typically easier to copy and distribute compared to physical products, posing an appropriability problem for digital creators. There are ways that SMEs can mobilise resources and capabilities to profit from innovation and sustain competitive advantage. For example, firms can develop favourable relationships with suppliers or distributors which may not be available to competitors. Firms can enter exclusive licensing agreements (for example with a technology provider) to gain access to new features or markets. Firms can also invest strategically in core capabilities. Creative capabilities (such as artistic talent) may help a business to consistently produce attractive goods. Investing in dynamic capabilities (such as the ability to adapt to new technology) can help firms overcome changing conditions.7Legal knowledge about copyright is one important capability for SMEs. 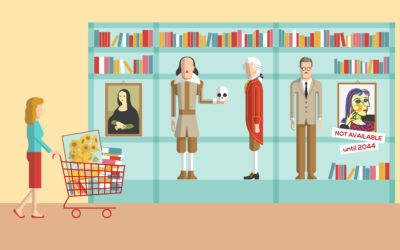 Selling things: A traditional business model involves selling products or services to paying customers. The value proposition is linked to the quality of the product and the benefits it offers to consumers. A firm might offer a product or service for free and capture value from it by selling related goods or services. Those businesses are sometimes called ‘sellers of complements’ (for an example, see the interview with Onilo in the video at the top of this page). Whether selling a product or a complement, firms typically invest in production process improvements to ensure that products are competitive in quality and price. Intellectual property rights can be used to protect some aspects of a product, such as a copyright-protectable expression. A seller of complements may prefer a situation in which the main good is freely open (such as a piece of open source software) so that their complementary products can interface with it, adding value. Similarly, a producer of a media playback device hopes that content producers will offer goods that are compatible with it. Platform business model: in this common business model, the firm offers a means for users to communicate or transact with one another. The value proposition is linked to the quality of interaction facilitated by the platform and the total number of users the platform enables. Platform businesses often benefit from ‘network effects’ in which an individual’s value increases for every new user the platform attracts. Examples of platform business models include internet discussion platforms, swap-meets and crowdfunding marketplaces (also see the example of a platform by UsTwo in the video). Where a creative good is produced through collaboration over a platform, the exploiting firm faces the challenge of obtaining appropriate copyright licenses from all contributors and managing the overall conditions of participation. Multisided platforms: sometimes, platforms are designed to be attractive to different groups of consumers who come to it for different purposes. Network effects can increase the value of the platform for different sides simultaneously, providing a source of additional value. For example, YouTube provides a platform for amateur video makers to upload and share their content, but it also sells advertising to companies that are attracted by the large number of people using the website. Very small firms are often users of platforms owned by larger companies. 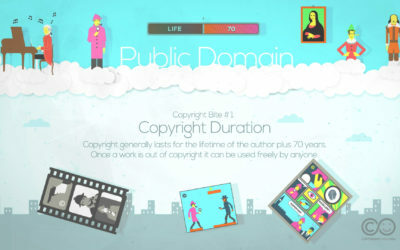 Copyright management challenges relate to the terms and conditions imposed by the platform owner, and interactions with any third-party copyright owners who may dispute ownership. Typically, this makes transformative reuse of copyright material trickier on large platforms. SMEs, while the lifeblood of the ‘creative economy’, face numerous challenges related to management of intellectual property. This section has outlined some of the main challenges for creative firms, as well as strategies used by firms to ensure sustainable competitiveness. Small businesses should consider the role of intellectual property in their value generation and capture activities. Not all activities benefit from strong IP protection, but some do. By improving their knowledge about copyright, managers of creative SMEs can improve their capability to spot opportunities and respond to technological change. Dahlander, L. and Magnusson, M. (2008). How do firms make use of open source communities? Long Range Planning, 41(6), 629-649. Intellectual Property Office (2012). From Ideas to Growth: Helping SMEs get value from their Intellectual Property. Newport, UK: Intellectual Property Office. 2 Knight, E. & Harvey, W. (2015). Managing exploration and exploitation paradoxes in creative organisations. Management Decision, 53(4), 809-827. See also March, J. (1991). Exploration and exploitation in organizational learning. Organization Science, 1(2), pp. 71-87. 3 See Dowd, T. (2004) “Concentration and diversity revisited: Production logics and the US mainstream recording market, 1940–1990.” Social forces 82(4), pp 1411-1455. 4 Erickson, K., Heald, P. J., Homberg, F., Kretschmer, M., & Mendis, D. (2015). Copyright and the Value of the Public Domain: An empirical assessment. Project Report for the Intellectual Property Office UK. Newport: UK IPO. 5 Pisano, G. P., & Teece, D. J. (2007). How to capture value from innovation: Shaping intellectual property and industry architecture. California Management Review, 50(1), 278-296. 7 Oliver, J. (2014). Dynamic capabilities and superior firm performance in the UK media industry. Journal of Media Business Studies, 11(2), 57-78.